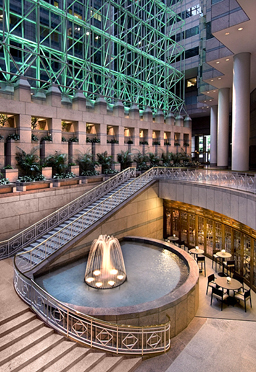 RJTR’s design of the multi-million dollar renovation to the 16,000-square-foot City Club of Washington, completed in April 2012, transformed the club into the region’s premier social and busi¬ness destination. The fresh and refined new look is projected to attract over 500 new members in the next few years. 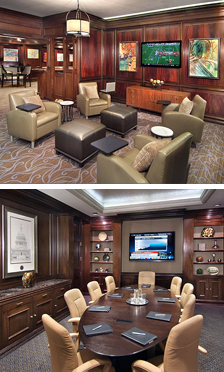 Located in the heart of Washington, D.C., City Club served as a distinguished, private club fulfilling the needs of the political, legal and business communities since 1987. After many years of service, the Club required a modern makeover. The Club surveyed its members to determine how it could improve facilities. Members asked for more space to conduct business as well as more casual lounge areas. The renovation includes new furnishings; newly commissioned works of art; custom, member wine lockers; updated boardrooms, meeting rooms and media rooms; and a new patio. 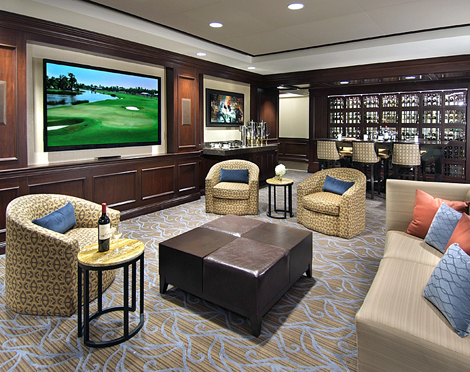 The new media room features an 83-inch television, as well as iPads at the bar for member use. Enhanced Wi-Fi, cell phone reception and power outlets provide a business-friendly environment.